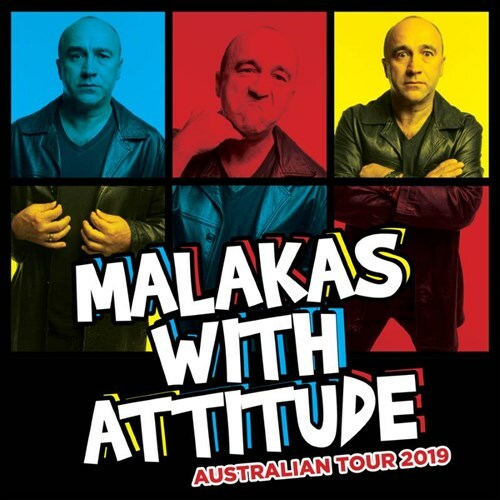 In this 1hr Stand Up George Kapiniaris explores all things ‘Malaka”! “This show isn’t just about the Big Malakas in the world. It’s about the Little Malakas too. Its about time all the Malakas made a stand. Malakas stand up and be counted! You don’t have to be a Malaka to see this show about Malakas. You don’t have to be from the Strait of Malacca. In Adelaide George is best known for his Barista Stalking character ‘George’ in the extremely popular RAA ads which ran for over 12 seasons. Well over 70 ads. He has received two ACE awards for Best Comedy for ‘Il Dago’ and last year he & his team were again nominated for ‘Wild Wogs’. Tickets $39.50 + booking fee, and are limited so BOOK EARLY.